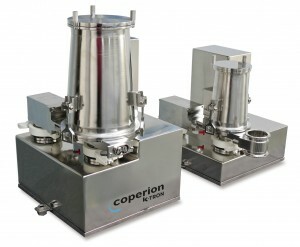 Niederlenz(Switzerland), September 2013 – Coperion K-Tron provides single source solutions for a wide range of feeding and pneumatic conveying needs in the plastics industries. From polyolefin production, PVC production, wood-plastic composites, BOPP film production and high performance compounding, our equipment is in the flow of plastics processing. Be sure to visit Coperion K-Tron and Coperion in Hall 14, Booth B33 at K 2013, October 16-23 in Düsseldorf, Germany. Come and see Coperion K-Tron’s NEW low rate, Micro-ingredient Feeder line which has been expanded to include interchangeable MT12mm and MT16mm twin screw feeding modules or MS12mm and MS16mm single screw feeder modules. Overall feed rate capacity is from 0.02 dm³ / hr. to 27 dm³ / hr. The new Micro-ingredient Feeder is ideal for applications feeding high value / high cost additives in any plastics, food, pharmaceutical and chemical process that require second to second performance with a high degree of accuracy. The interchangeable twin to single screw feed modules provides versatility to handle a broad range of materials from powders to granular. Also exhibited will be the Coperion K-Tron Smart Flow Meter that is used in industries that need reliable metering, registering or monitoring of bulk material flows. In high rate applications, the Smart Flow Meter provides high accuracy feeding, at very high feed rates of up to 200,000 dm³/hr(7,000 ft³/hr). The Smart Flow Meter offers lower maintenance costs and reduced headroom. There are two models available: K-SFM-275 and K-SFM-350, dependent on application requirements. The Smart Flow Meter is used in polyolefin production processes, where the main component is accurately and gently fed into the extruder. Another highlight will be Coperion K-Tron’s Quick Change Feeder that is specially designed for applications requiring the maximum possible materials handling and changeover flexibility. The single screw feeding elements handle free flowing powders, granules, pellets and other free flowing materials. The twin screw elements are ideal for floodable powders and more difficult, sticky or hard-to-flow materials. 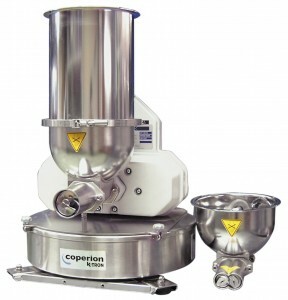 CoperionK-Tron Coperion K-Tron is a global leader and single source supplier of material handling and feeding systems. 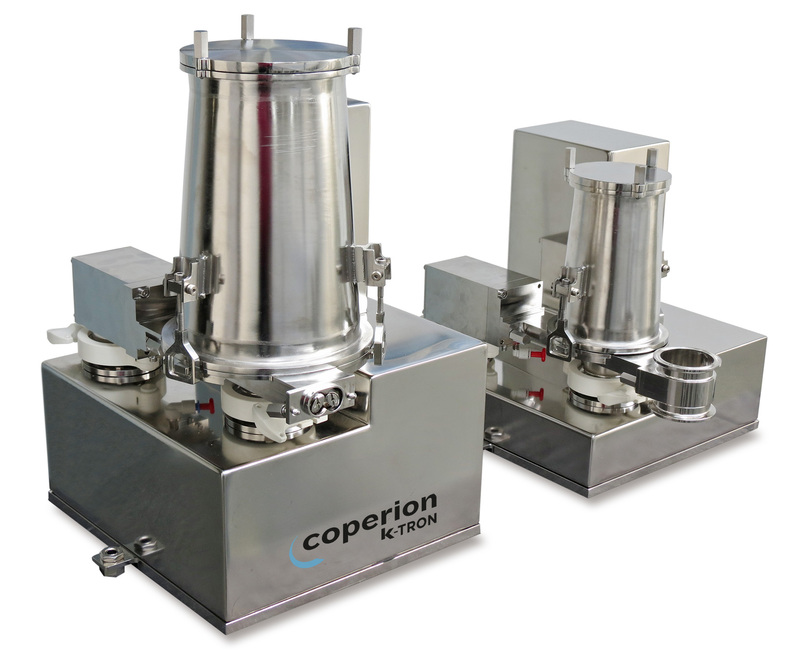 Coperion K-Tron has defined the leading edge of technology for material handling applications in the process industries.